Lawmakers gave first-round approval March 18 to a bill that would authorize adjustments to state employee work schedules for participation in youth mentoring programs. 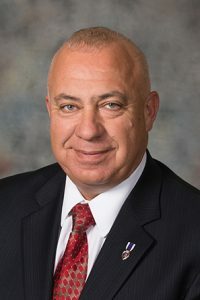 Under LB511, introduced by Gordon Sen. Tom Brewer, a manager could adjust a state employee’s work schedule by up to one hour per week in order to allow participation in an approved program. Paid leave for this purpose would not be authorized. The bill also would require the state director of personnel to develop a process and criteria to approve programs based on nationally recognized standards for quality youth mentoring. As introduced, LB511 would have required the state Department of Administrative Services to maintain a data base of approved programs. A Government, Military and Veterans Affairs Committee amendment, adopted 40-0, removed that provision. Instead, the director could rely on existing, publicly available lists of such programs. Gretna Sen. Andrew La Grone supported the bill and the amendment, saying the proposal would benefit the state, employees and Nebraska youth. “It gives kids who often don’t hear that their dreams are valid—that they can have an opportunity for a brighter future—it helps give them that opportunity,” La Grone said. The committee amendment also incorporated provisions of LB381, originally introduced by Blair Sen. Ben Hansen, which would change the travel reimbursement method for state employees. Under the amendment, reimbursement for meals and incidentals would be made based on the federal General Services Administration per diem. Reimbursement for lodging and travel still would be itemized. A policy adopted by DAS could not set a reimbursement rate in excess of 100 percent or less than 75 percent of the federal rate. Following adoption of the committee amendment, senators advanced LB511 to select file on a 40-0 vote.